I am reading books faster than I can review them at the moment, so I’m doing a two in one for this post! Thomas introduced me to May Sarton last year with the absolutely sublime The Magnificent Spinster, which has to be one of my favourite books of all time. 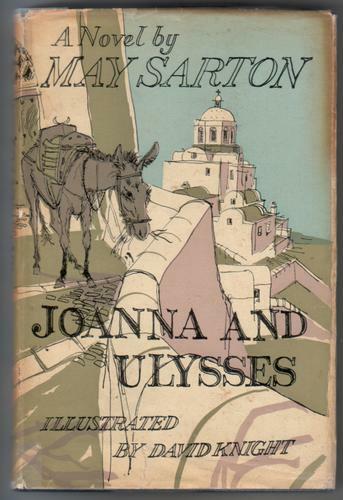 After I wrote about how much I loved it, a lovely, thoughtful lady called Heather sent me a signed copy of Joanna and Ulysses, because she knew I loved Greece and the action of the story is set in Santorini. 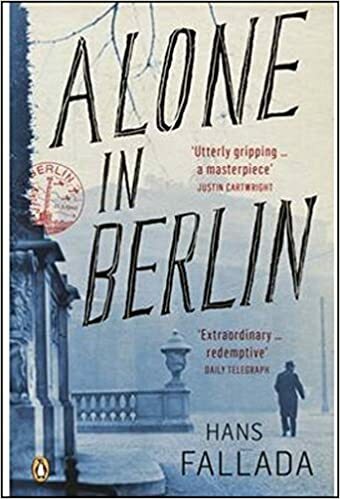 I wanted to wait to read it until I was in Greece again, and that is my – perfectly legitimate – excuse for leaving it languishing on my shelves for nearly a year. While I was lying on a beach in Lesbos, it felt the perfect time to read about a woman travelling to a Greek island to find herself, and I think being surrounded by similar sights and sounds definitely enhanced the reading experience for me. Joanna is 30, and lives in Athens with her widowed father. She has a dead end job, a limited social life and is desperately unhappy. Her mother was killed during the war (the book is set in the 1950s) and the magnitude of this loss is still affecting her, mainly due to her father’s profound grief that weighs heavily over them both. Joanna decides that she needs a holiday; a chance to be alone, to break away from the atmosphere of sadness at home and rediscover herself, free from the constraints of her life in Athens. She is a keen artist and longs for a chance to paint some stunning scenery, so with that in mind, she chooses the legendarily beautiful island of Santorini as her destination. Armed with a holdall and her painting equipment, Joanna boards a boat and is whisked off across the Aegean to her much longed for island retreat. When she gets off the boat in Santorini, the first thing she looks for is a donkey to help her carry her things up the steep and winding streets of the town, where she plans on renting a room. There are plenty of men with their donkeys at the harbour, and Joanna is preparing to choose one when she sees a poor little donkey with open sores and in obvious pain being mistreated by its owner. Joanna is conflicted; she came here for a rest, not for more responsibility. She almost resolves to choose her donkey and go on without saying anything, but she can’t do it. Before she has had a chance to think about the consequences of what she is doing, she finds herself buying the donkey and taking him up into the town. She calls him Ulysses, and over the next few days she nurses him back to health. He accompanies her on her wanderings over the island, as she searches for the perfect view to paint. During these long, lazy days, Joanna will come to terms with her past and come to some important decisions about the future, once again finding joy and meaning in life with a little help from her four legged friend. This is an absolutely charming and heartwarming story, with a lot more emotional depth to it than first meets the eye. The best part about it is that it is actually a true story, told to May Sarton by the real Joanna. Greek islands really do change lives – they’re magical places! If you love Greece and/or animals and/or lovely writing, then you’ll love this. It’s a modern day fairytale and a very short one at that, so it’s also a perfect introduction to May Sarton, whose novels really should be required reading. If you can get hold of a copy, I highly recommend it; it is in print in the US but sadly not in the UK, though used copies are cheap and plentiful. This is a clever, inventive and insightful take on our modern society that holds back no punches on the grim reality of life for many, but also weaves a tale of the power of dreams and the essential goodness of humanity. The story takes many unexpected and imaginative directions, and the ending certainly took me by surprise. I warmed instantly to Phoebe and Don, downtrodden by their poverty and lack of opportunity, and rejoiced at their bravery in daring to pursue their dreams against all odds – and common sense. I would never normally have picked this up, but I really enjoyed it and it has been a much needed reminder that I do need to make more of an effort to branch out of my reading comfort zone. I’d love to give someone else the opportunity to do that too, so if you fancy giving Iceberg a go, let me know in the comments and I’ll send it out – anywhere worldwide is fine. If there’s more than one I’ll do a draw. Enjoyed both these reviews – and they both sound great reads. I’ll add Joanna and Ulysses to my list that I trawl round second hand bookshops – it’s a brilliant title – though even although based on true story it must have been a temptation for the author to change Joanna’s name to Joyce! I’d love to have a go at Iceberg – I’m intrigued already to find out what they do with their prize!!!!!! The mind boggles at what you do with an iceberg!!!! Ha! I think that title might have put a lot of people off…it would sound like a piece of literary criticism! 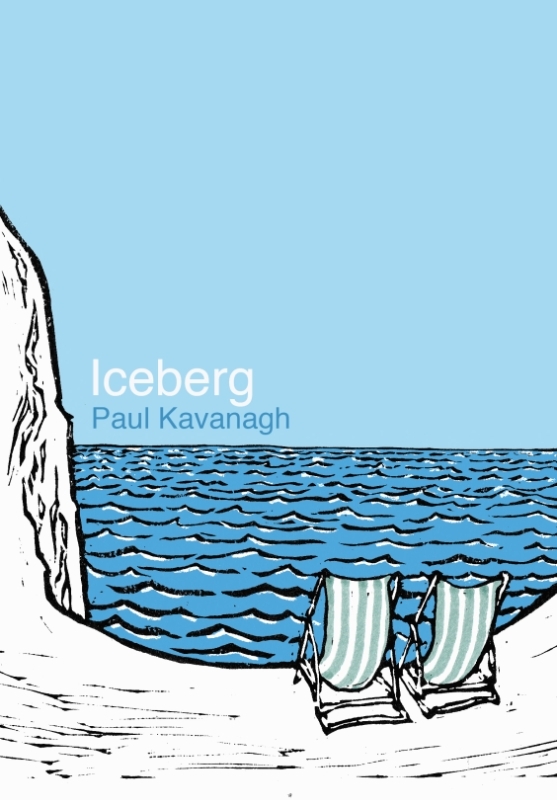 Yes, Iceberg is certainly an interesting little book and took me quite by surprise…I shall add you into the draw! These both sound really good. I’ll add them to my list too – but I usually find I’ve left behind when I spot a second-hand bookshop! Glad to hear it Christine! I know, me too – I always end up going blank whenever I go book shopping so I have to obsessively search every shelf until a name jogs my memory! I’ve got to get ‘Joanna and Ulysses,’ especially as it has ticked all the boxes for me – I love animals, I love Greece and am of Greek stock (my mother’s side of the family is from Ioannina, but unfortunately for me, I’ve never been there…yet! ), and I love May Sarton’s writing. I’ll definitely try my best to get a hold of a copy of this little gem of a book. As for ‘Iceberg,’ it’s also not something I’d normally ‘go’ for, but after reading your review of it, my interest and curiosity is now piqued. Please do put my name in the hat if there’s a chance at winning it – thank you in advance for being so generous as to want to share it with one of us. In the meantime, I’m off to have a look on-line and see if I can find ‘Joanna and Ulysses’. Thanks, Rachel, as always, for not one but two great reviews this time round. You certainly can go into the draw! I’m pleased you enjoyed the reviews, June – your enthusiasm means a lot to me! I would also love to read Iceberg because your review made me very curious about this “clever, inventive and insightful take on our modern society that holds back no punches on the grim reality of life”. You will be entered into the draw, Andreea! I’ll add you to the draw Melissa! Recently found your blog site and intrigued by your review of “Iceberg” – please could my name go in the hat. Thanks Enid – yes it can! I’ll pop you in the draw too, Louise! No fair. I wish I had a thoughtful lady named Heather sending me signed copies of out of print May Sarton books. But I am gratified that The Magnificent Spinster is still a favorite of yours. Oh Thomas, you do make me laugh!! It most certainly is – and I will truly be eternally grateful to you for introducing me to May Sarton – The Magnificent Spinster will always have a special place in my heart! Greek island. Being kind to a sick donkey. Artistic inclinations. Joanna and Ulysses sounds like a good read, but really, who could read that review of Iceberg and not be intrigued?! I’d love to be added to the draw! Hi Marie, lovely to hear from you! Of course I will add you to the draw! And the second novella sounds like I could love it too. I do love quirky sometimes. And I *really* love that cover – so beautiful. I think you would love the May Sarton…not so sure if Iceberg would be your cup of tea to be honest!! The cover is amazing though. You MUST read The Magnificent Spinster. You must. Remember you were sceptical about Illyrian Spring then you read it and loved it? Same with this. You’re only delaying your own pleasure!! I’m just beginning Joanna and Ulysses and have already teared up multiple times. The themes are really universal and Joanna as the protagonist looks at them (her emotions, reactions to recent tumultuous events in her life) in a really frank but deep way. I’m enjoying it immensely and is already in its way to becoming one if my favorite books ever. I’ve never read anything by May Sarton before despite the fact that I’m from Maine in the US where she spent so much time. I’m determined to find a signed copy for my library too. Thanks so much for bringing it to my attention! Fantastic, Aimee – I’m so delighted to hear that. You’re from Maine? Fantastic – it is top on my list of places to visit. You MUST read The Magnificent Spinster – part of it is set in Maine and it is actually one of the best books I’ve ever read. Try it! I’ll certainly read it… I feel as though I’ve discovered a gem in May Sarton, thanks to you. I’m moving to the UK soon so perhaps I’ll bring it with me to remind me of home. Maine is certainly worth visiting… If you ever plan a trip and need recommendations of where to go or what to do, just let me know! How exciting Aimee – I hope your move goes well. If I can help at all let me know. I will most certainly do that, thank you – I am planning a trip to the States next summer and Maine is on my list!